Spring on the farm is a very exciting time. It is a time of renewal and rebirth that can be seen everywhere. Rhubarb, lettuce, and kale are starting to grow in the garden,and baby chicks, goats, and lambs are being born. Egg production is increasing after a long winter, just in time to celebrate Easter with the tradition of decorating and coloring chicken or duck eggs. Most of us grew up using the store bought egg coloring kits that include artificial dyes, stickers and shrink wraps, all packaged up and ready to use. 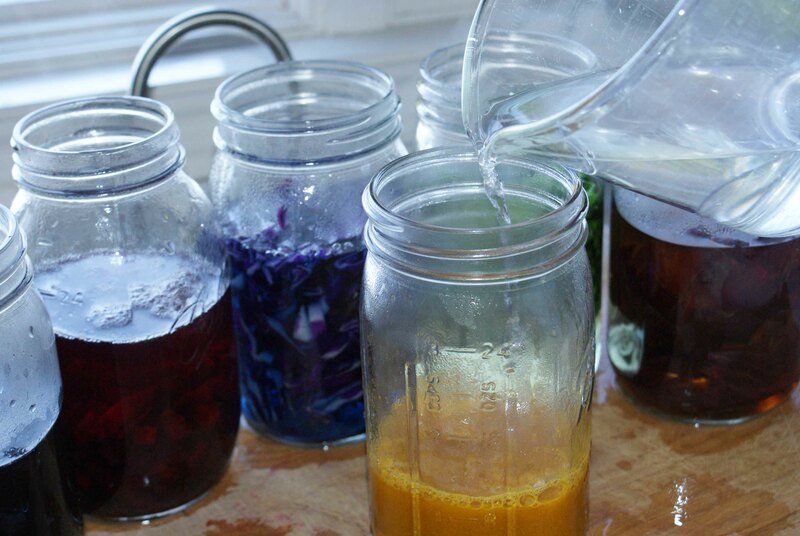 But, did you know that you can naturally dye eggs from materials found right out of your garden, pantry, and kitchen? Not only can you color eggs using fruit, vegetables, and spices, you can decorate and design eggs using grains, leaves and twigs. It takes a little more effort and creativity, but the results are outstanding. 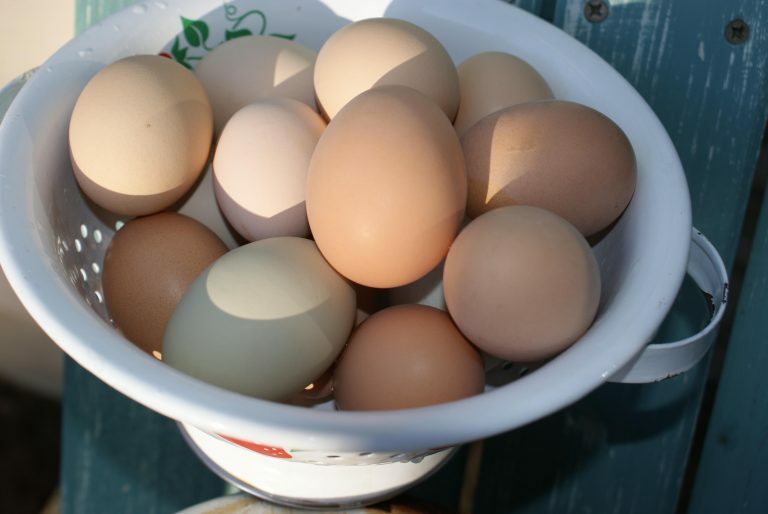 Start with the freshest-laid eggs from organic or free-range chickens. If you do not have happy hens of your own, look for a farmer selling them at a local farmers market, co-op, or farm stand. 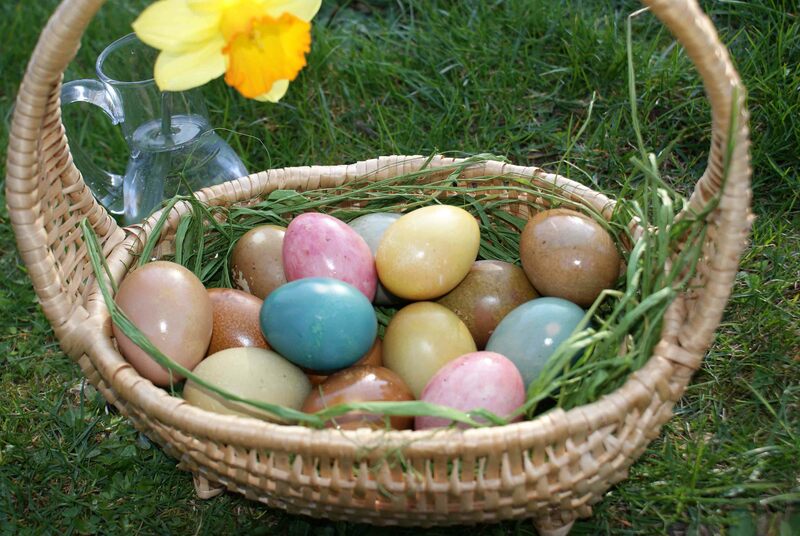 Brown eggs can dye just as well as white eggs and, in fact, will produce a richer color. First, boil your eggs in water, taking them out before they crack. While your eggs are boiling, peel several onions (red or yellow), chop some cabbage, dice a beet, grab some spinach, and get out some frozen blueberries. 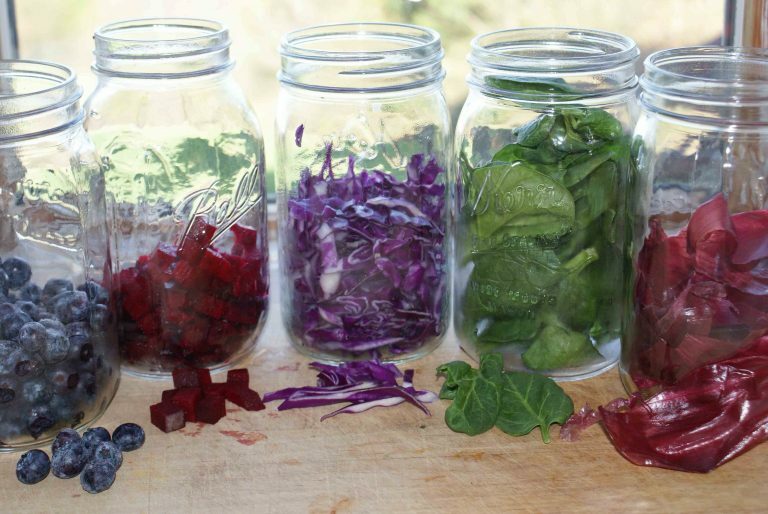 We found some mason jars that we filled up about 1/3 to 1/2 way full. Beautiful, right? 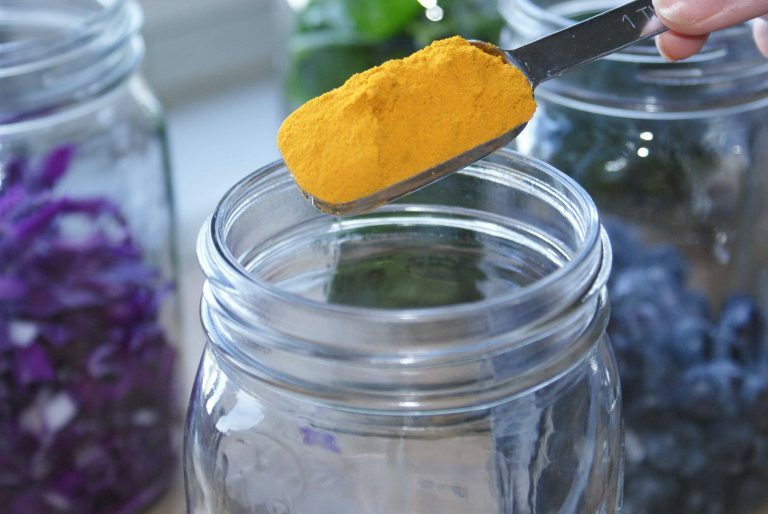 You can add two tablespoons of any spice and get fantastic colors. We used tumeric for the color yellow. We used chili powder for orange. And brewed up some extra strong espresso coffee for our dark brown color. We ended up with eight jars total. Next you pour boiling hot water over the ingredients. 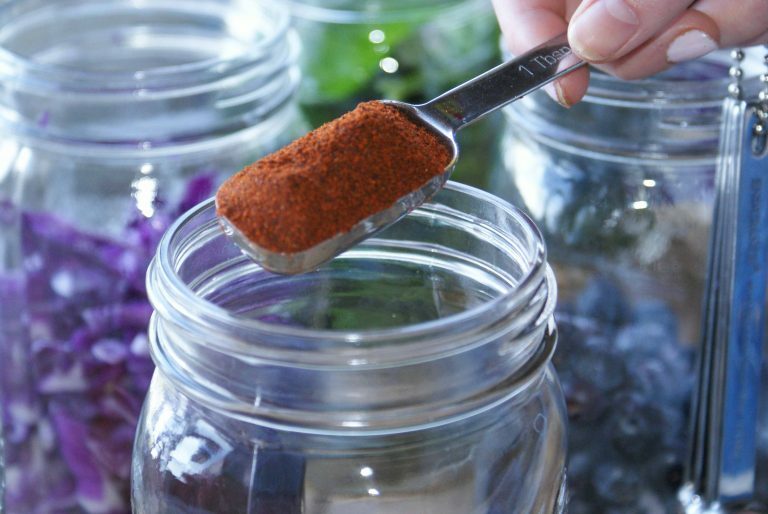 Fill all of the jars up about half way, making sure to cover ingredients. 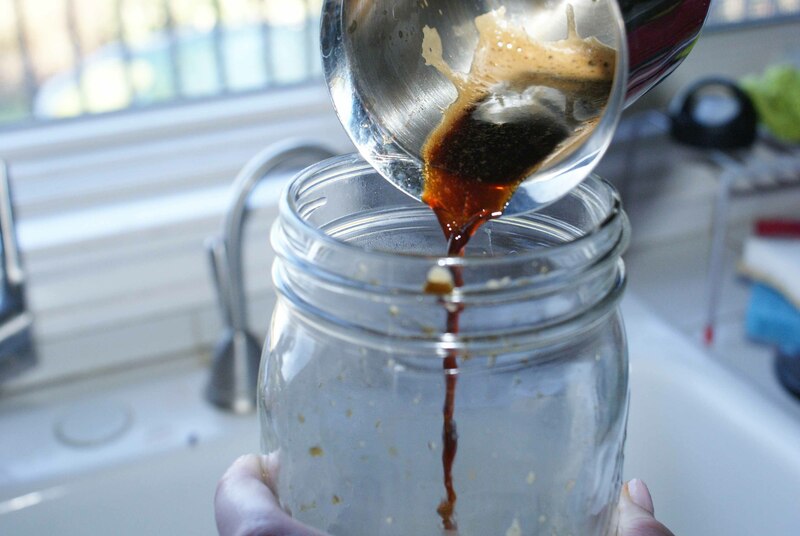 Add two tablespoons of vinegar in each jar. The colors will not set without vinegar. 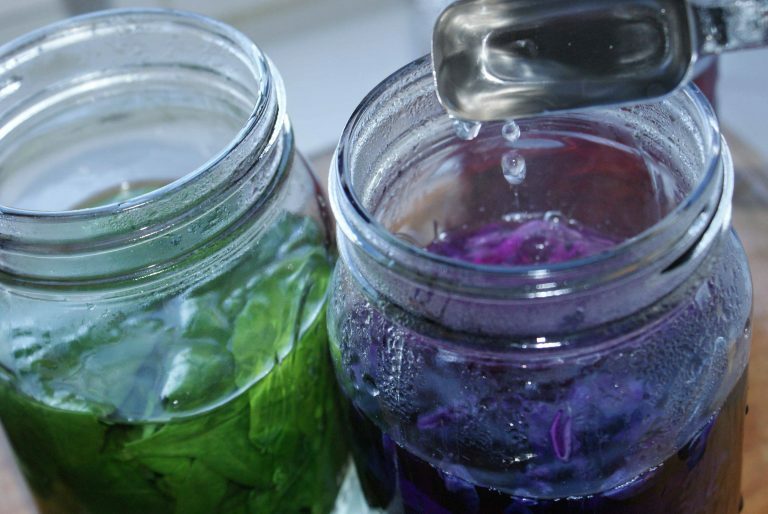 After the jars have cooled, strain the ingredients and put your new dye in a fresh container. Add your eggs, one at a time, until you have around three to four in each jar. 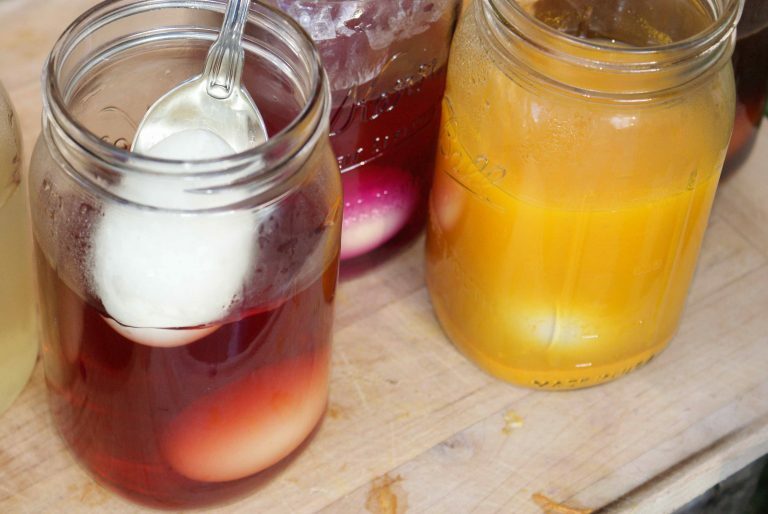 After adding your eggs, place all jars in the fridge for a couple of hours or overnight. The longer you leave them, the more intense the color will be. When you take the eggs out, place them on a drying rack to dry. Rub them with vegetable, coconut, or olive oil to polish them up before you showcase them as a work of art on your countertop, hide them for a Easter egg hunt ,or place in beautiful baskets (we found ours at a second hand store). You can mix any of these primary colors to create secondary colors. For example, red and yellow make orange, yellow and blue make green, and blue and red make violet. Gather any kind of leaf, twig, or even flower petals and firmly place against the egg. Wrap the egg in hosiery and tie tightly. This ensures sure your design doesn’t shift. 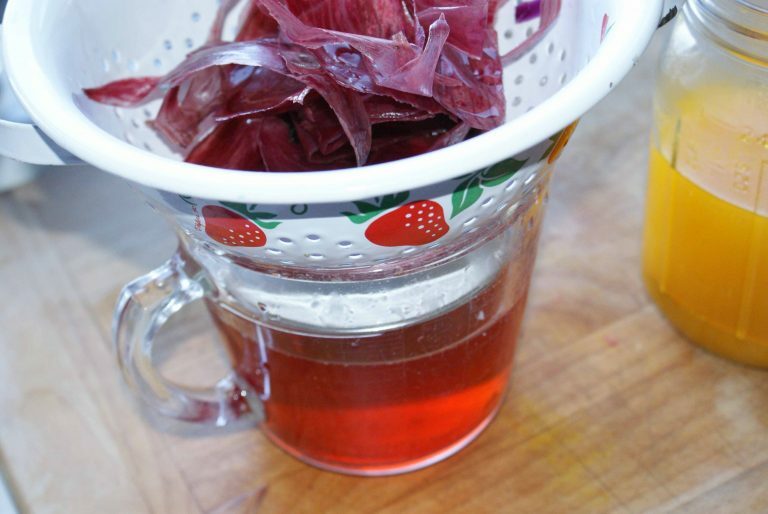 Place in any dye. There are so many possibilities! 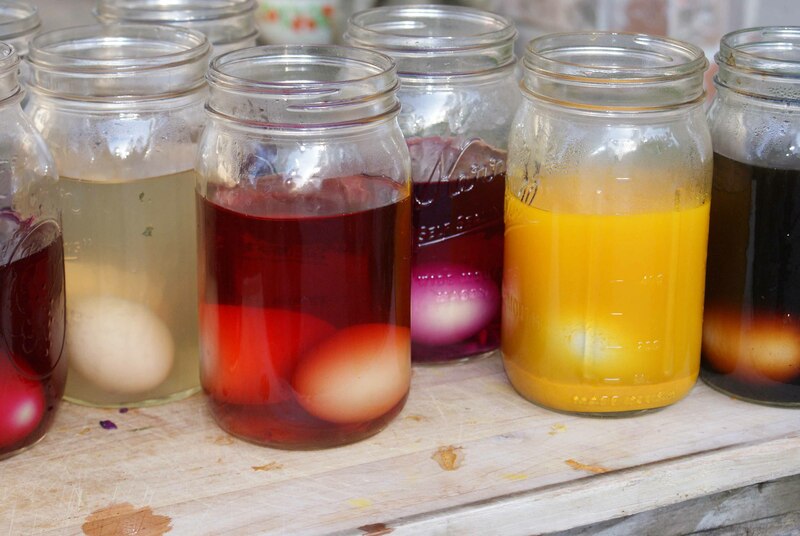 Let us know if you have other ideas for ways to dye eggs. We’d love to hear from you. Previous Post Lets Get Cultured!